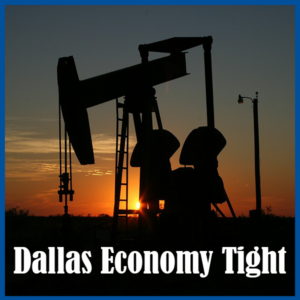 American motorists are enjoying the lowest gas prices in a decade but the low crude oil prices are pounding the Dallas economy and the economies of other Texas cities that are heavily reliant on the oil industry for taxes and employment opportunities. When the oil business suffers, it doesn’t take long for the ripple effect to hit the businesses that sell to the oil industry and the retailers who sell to oil employees. It will get better but can you wait for it to happen? If you have been hit by this downturn you have probably made every cut in your expenses that you can. However, shopping smarter for goods and services, cutting down on entertainment, watching your energy costs and paying down debt when possible can only go so far. If you find yourself searching the cushions for loose change, you know you need some kind of financial backup to be ready for those unexpected expenses that always seem to happen at the worst time. But how do you build a safety net when you’re living month to month? Selling your car may sound like a drastic step and if it’s the only one you have and you need it for work and public transportation or carpooling is not a viable option then you probably shouldn’t. Or maybe you should. In Dallas and all over the country there is a changing attitude towards car ownership being driven by millennials mostly. Alternative means of transportation like Uber and Lyft are far less expensive than owning a car and generally are less expensive, more responsive, and safer than taxis. Even Hertz has a program that touts rent the ride not the car and has established a low cost membership based program where you can rent a car for an hour or a vacation. If cash is a real problem now, selling your car can give you a cushion. The question is how do you go about it? If you make the decision to sell your car there are basically two ways to go…do it yourself via CraigsList and endure all the hassle that involves or sell it to a dealer. If you want the cash now…like today, the DIY route is definitely out. That leaves you with dealers and if your vehicle is high mileage or over 5 years old you are going to hear all the reasons why it isn’t worth top dollar…except for one place. IQ Auto Buyers specializes in buying (not selling) used cars. In fact you won’t have to drive down to their lot to get a quote, just fill out the handy online form and they will send you one. If you like the price take your car to their lot and they will inspect it, fill out all the transfer paperwork and pay you on the spot. Simple, fast and a fair price. Pull out your smartphone and use the Uber app to get a ride home!